The Florida Folk Show has been a part of the WMNF family since January 23, 2003. With host Pete Gallagher, Gary Horrell, Jim Mason and Ronny Elliott. Past co-host include Bobby Hicks, Kelly Green, Raiford Starke, Meredith Bogush and Jessica Rose Powell. Defining Florida folk music is very difficult. 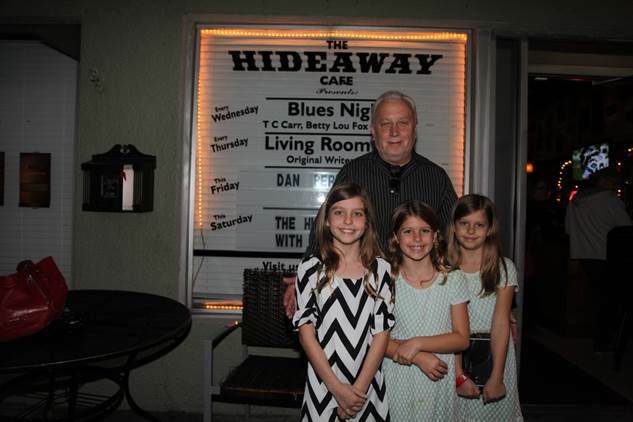 Everyone has their own idea what makes a song a Florida folk song. Those who like traditional folk often discount contemporary folk, and vice versa. To us, it has less to do with rules and more to do with soul. Does the song or songwriter or performer have a Florida soul? Can you feel it? 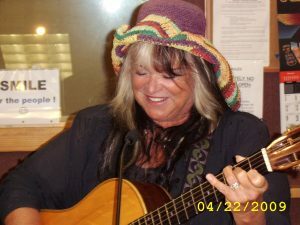 I hope the Florida Folk Show will help capture that soul, step up interest in the genre and, maybe, inspire some new Florida songwriting. 4. The last Inaugural Season Florida panthers hockey tee shirt from the 1993-94 season. 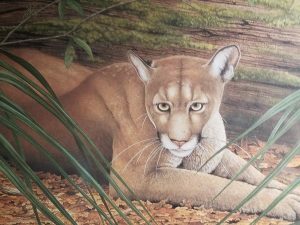 Features a caricature of a Florida panther in a hockey uniform. A collector’s item for $75. — . 5. A Herb’s Limestone Country Club tee shirt. (Large) A Florida landmark that is still in operation, though Herb passed a few years back. A real deal at $50. 23. (1) $50 gift certificate from Sterling Wine. Main St in Dunedin, home of our North County Florida Folk Night , for a $50 pledge. 25. Rare Jack Kerouac “beauty berry” seeds, harvested from a bush in his yard. 20+ seeds of Jack’s favorite plant ready to plant and water, with instructions! $75. 26. 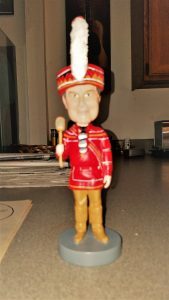 Bobby Henry Bobblehead (3) – Seminole Indian Medicine man Bobby Henry, also known as the Rainmaker, has blessed a limited number of these custom Bobbleheads and donated them to WMNF for gifts in return for $100 donations. 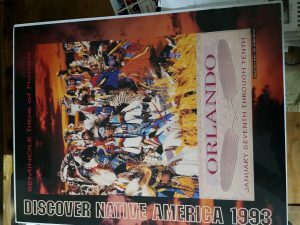 Bobby, a member of the Tampa Seminoles, is one of the most famous and powerful medicine men in the country and respected by American Indians everywhere. Bobby personally presented one of his bobbleheads to Chicago Cubs manager Joe Maddon last baseball season when the Cubs visited the Rays. Maddon arranged for Bobby to have access to Tropicana Field, including the dressing rooms and dugouts during the 2014 season when, in June the Rays were the worst team in baseball. Bobby’s blessing of the bats and gloves and basepaths, even Chris Archer’s arm and Grant Balfour’s necklace (during a game!) helped the team make the largest comeback in major league baseball history, when the Rays finished the season one game from the playoffs six months later. These are exclusively offered by the Florida Folk Show in honor of one of Florida’s greatest Floridians, Bobby Henry, Seminole medicine man! Kennedy Foundation Fellow Man and Mother Earth Award. 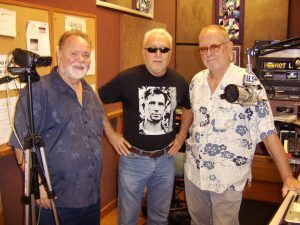 January 1, 2009 Horrell joined Pete Gallagher on the Florida Folk Show. 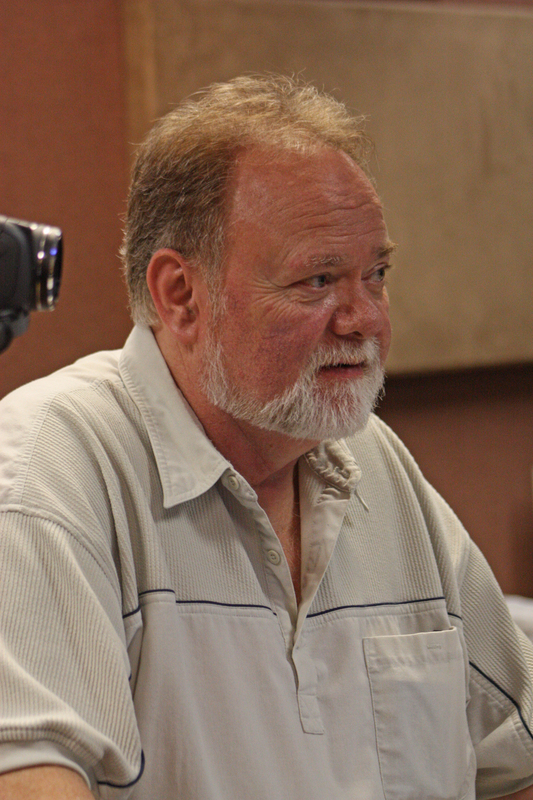 After a test run in November of 2008 Horrell started live Web-casting the Florida Folk Show from the WMNF radio studio in Tampa, Florida. In addition to watching the show live via the web at www.WhistleEntertainment.com, viewers could now share comments and interact with each other in the show's Chat Room. Not only is Horrell webcasting the show live, his quick wit offers wry commentary to the show's ever changing cast of characters. 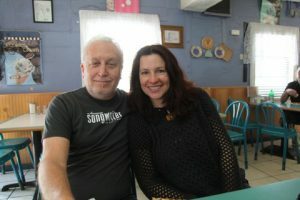 A music industry veteran with over 40 years of experience in record production, songwriting and publishing, live performance, artist management and marketing. He has been awarded gold and platinum records. 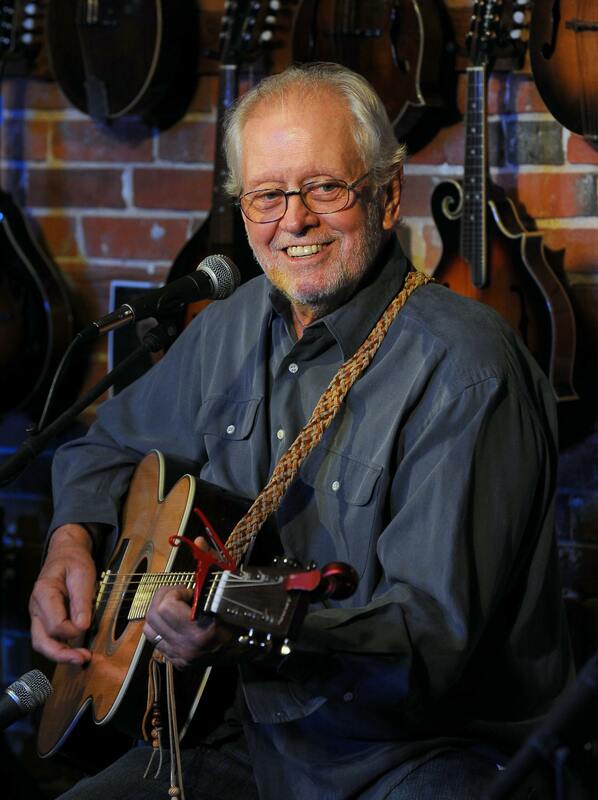 Jim co-wrote the Peter, Paul, and Mary hit "I Dig Rock-N-Roll Music", produced gold and platinum albums for the band FireFall, produced albums for Rock and Roll Hall of Fame members Chris Hillman of the Byrds, and Richie Furay, of Buffalo Springfield. 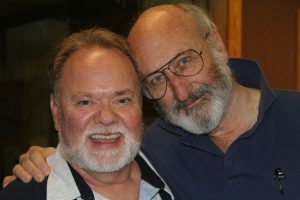 Other production credits of Jim's include Poco, the Cate Brothers, Bob Buford, The Rhinestones, Robbin Thompson, and Paul of Peter, Paul, and Mary, who originated the timeless "Wedding Song (There is Love)". 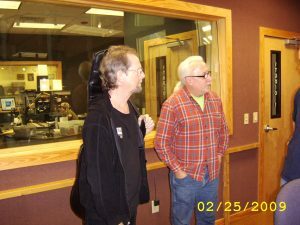 Jim has sung backup vocals on recordings with former Beatle John Lennon, with Alice Cooper, and worked on numerous projects with Eagles bassist, Timothy B. Schmit. 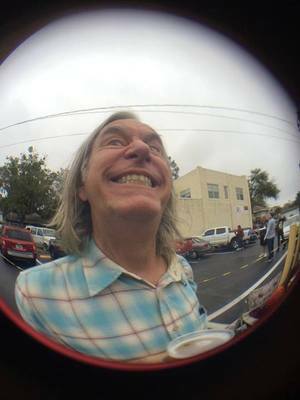 Other notable musicians with whom Jim has had a professional or personal friendship include Steve Cropper, Kal David, Chuck Rainey, James Burton, Garth Hudson, Tom Scott, Jerome J. Jumonville, Mack Rebenack (Dr. John), Victor Feldman, Paul Harris, Jai Winding, Harvey Brooks, Felix Pappalardi, Sam Bush, Jerry Douglas, Gram Parsons, Al Garth, Joe Lala, and numerous other well-known sidemen. Jim has had working relationships with other notable industry persons, Ahmet Ertegun, Phil Ramone, Tom Dowd, Elliott Scheiner, Clive Davis, and the legendary John Hammond, who signed Jim to Columbia records as an artist. From 1989-1998 Jim was a Music Business Instructor at the Colorado Institute of Art, University of Colorado, Swallow Hill Music Association, and was offered Associate Professor status at Berklee College of Music in Boston. Jim has co-authored a book entitled "The Record Producer: The Magic in the Music" to be published later this year. He is a past Executive Director of the Rocky Mountain Music Association, a member of ASCAP, NARAS, and the American Federation of Musicians. Currently, Jim is involved with new music publishing ventures, his first solo album, and is authoring a second book "Famous People Who Somehow Knew Me". Grumpy, harmless writer born in 1947. Good intentions. Good eater. Gets along well with some others. Marries regularly. Brilliant musician, songwriter, supporter of other musicians, and a rock'n'roll historian. Girls swoon with just a look from him.